A Long waited Microsoft Windows Seven finally showed up at Professional Developers Conference 2008. 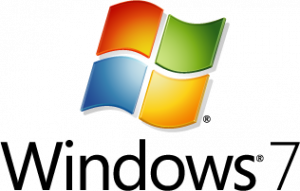 Microsoft officially showed the PreRelease version of the Windows 7. Microsoft is working big time in releasing almost everything on a new massive scale. As I earlier mentioned about the Windows Live Wave 3, including the new Windows Live Hotmail, which is an entire new making of the Windows Live network. Microsoft is also working on the new Microsoft Office, named as Microsoft Office 14.